Does Washington know what it’s doing? The idea that the United States may send military aircraft and ships to assert freedom of navigation around Chinese claimed islands in the South China Sea is seriously bad. It’s bad because it would involve an unreasonably assertive interpretation of the international law of the sea, and because it shows such little regard for the impact of such action on regional stability. There are three main implications of the U.S. proposal that concern the law of the sea. The first is the status of China’s claims to the disputed islands. A recent authoritative report from the Center for Naval Analyses in Washington concluded that while Vietnam may have a better claim to both the Spratlys and the Paracels, ‘[a]t the same time, U.S. policymakers cannot lose sight of the fact that China’s claims may be superior’, and that ‘[t]he absence of an unambiguous legal case in any of these disputes reinforces the wisdom of the U.S. policy of not taking a position regarding which country’s sovereignty claim is superior.’ The action now being contemplated can only be seen as an indication that in fact the United States has taken a position on the sovereignty claims. The second issue is the oft-stated line from Washington that China threatens the freedom of navigation in the South China Sea. But what freedoms of navigation are being threatened? China has always said that with freedoms of navigation and overflight, it only disputes the right of the United States to conduct military activities, particularly certain types of intelligence collection and military data gathering (so-called ‘military surveys’) in its exclusive economic zone (EEZ). China’s disputation of the right of the United States to undertake these activities isn’t without merit, particularly when the military surveys constitute marine scientific research which is under the jurisdiction of the coastal State in its EEZ. Also, it’s significant that several other regional countries, India, Malaysia and Thailand, share China’s position on military activities in the EEZ. Washington then aggravates the situation by referring to the waters of the South China Sea as ‘international waters’, ignoring the reality that these waters are actually the EEZs of the bordering countries, including China. It also ignores the fact that the high seas freedoms of navigation and overflight available to other countries in these waters shall be exercised with what UNCLOS calls ‘due regard’ to the rights and duties of the relevant coastal State. The freedoms of navigation being claimed by the United States in the South China Sea aren’t absolute and have to be exercised with ‘due regard’ to the rights of coastal States. For the United States now to be claiming them appears as though it’s ignoring the sui generis nature of the EEZ established by UNCLOS. For all these reasons, the action contemplated by the United States looks like a dangerously unilateral assertion of rights by Washington. What’s even more worrying is that the US, as a non-party to UNCLOS, may be ignoring some of the convention’s carefully balanced outcomes between the rights of coastal States and those of major maritime powers. In even contemplating such an assertion of rights in the South China Sea, it appears the United States has given little consideration to the impact on regional stability. Provoking China in such an aggressive and unnecessary manner can only make the current situation worse. One wonders whether the United States knows what it’s doing in the South China Sea. Is it propping up its treaty partner, the Philippines, or is it asserting its own interests vis-à-vis those of China? Does it know its own limitations when it comes to following through on it its actions? Is it thinking of the consequences? Does it have any idea of an endgame in the South China Sea? These are all vexed questions the answers to which are far from clear. Sam Bateman is a professorial research fellow at the Australian National Center for Ocean Resources and Security (ANCORS), University of Wollongong, and also an adviser to the Maritime Security Program at the S. Rajaratnam School of International Studies (RSIS), Nanyang Technological University, Singapore. A version of this article was first published in the Australia Strategic Policy Institute’s blog The Strategist here. It is precisely the fairness and impartiality of the process chosen by Manila to vent its claims that China objects to. 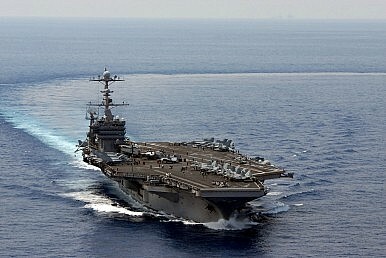 The Japan-South Korea Maritime Spat: Lessons Learned The South China Sea: Freedom of Overflight or ‘Unlawful Activities’?Toward a New Maritime Strategy in the South China SeaTrying to Solve the Philippines’ South China Sea Conundrum Are US FONOPs in the South China Sea Necessary?